Save over 10% when you purchase the Gun Kit II compared to buying the items separately. Ideal for the gun owner that wants to enhance the rust protection on his gun collection. 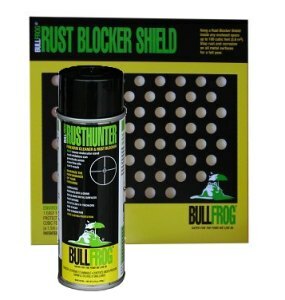 The Rusthunter Firearm Cleaner will clean and protect many guns during use while the large Bull Frog Emitter Shield provides protection in large gun cabinets or gun safes.